I tend to get on my soapbox quite often when I see literary fiction dismissed as less important than "informational texts." Anyone who works in a college or university English department knows what I'm talking about. I sometimes suspect it comes from the same mentality that kept shutting down the London theaters in Shakespeare's day believing that anything based on fiction was sinful since, technically, untrue. Today's opponents may be less philosophically opposed to serious literature than misguidedly pragmatic. (The same mentality has led to the elimination of cursive writing instruction in elementary schools because, some say, "We just don't have the time.") For whatever reason, though, I think of all the people who won't ever get the chance to fall in love with books because they were never exposed to the right kind. I mentioned in a post last week that I was overwhelmed by the desire to return to books I've already read because of recent sequels or other forms of perspective shifts. 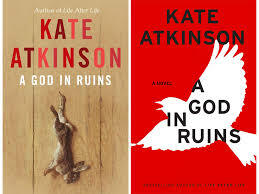 Such was the case as I moved through Kate Atkinson's newest novel A God in Ruins. I had certainly enjoyed reading Life After Life, the novel in which the author considers all the ways in which an earlier death of Ursula, the protagonist, would have changed not only the lives of those around her, but history in general. 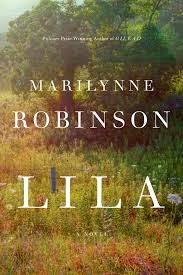 This new novel doesn't follow that same path, moving in and out of altered worlds, but Atkinson shifts the story to Ursula's younger brother Teddy, his mother's "best boy." While much of the action focuses on Teddy's experience as a RAF bomber pilot during WWII, readers spend just as much time with him before and after the war. And even though it is clear that he would survive his harrowing experiences, since the narrative is told in fragments out of chronological order, the suspense is just as powerful. First of all, I don't know when I have found a more likable, sympathetic character than Teddy Todd, and yet his only daughter Viola is his polar opposite. Totally self-centered, she belittles her children and then leaves them for others to raise--and doesn't even choose those others well. Still, I was pleased when Atkinson allows Viola a tender moment of redemption when she sees her oldest child Sunny after a separation of ten years. The overlap between this novel and the earlier one, Life after Life, is so subtle and slight that it felt like a memory jog. In this case, since she didn't use the same literary device throughout the narrative, I was caught off guard by the bit of sleight-of-hand she does use. All through the story, though, I kept asking, "How does she do this?" The deft way she moves back and forth between parts of the narrative--especially when she uses the mind drift of an aging Teddy--left me envious of her narrative skill. I try to imagine how the author of "informational text" could engage a reader quite as skillfully, requiring inference and extrapolation. Another characteristic of literary fiction noted by researchers is its penchant for helping readers to develop empathy toward people--characters--unlike themselves. I suspect that Teddy Todd is a character I will remember longer than many I encounter on the page or in life. I hope so. Any great reading suggestions for before and during my trip to Italy this summer? 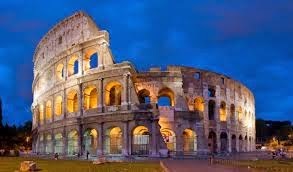 We will be topping in Venice, Florence and Rome, with a side trip to Pompeii. I plan to read some appropriate bible passages and biblical history, but you know I need some good fiction set in some of these places as well. Until you asked, I had not realized how few books I remember reading that were set in Italy. France, yes. Great Britain, absolutely. But not so many come to mind from Italy. Does Pinocchio count? The first I thought of was Susan Vreeland’s The Passion of Artemisia. I like her books because they always have a connection to art history. I read her book The Girl in Hyacinth Blue first. I loved the way she traced a fictional Vermeer painting backward from its current owner back to Vermeer as he painted it. This one is loosely based on Italian Renaissance painter Artemisia Gentileschi, so you get some history with a strong female protagonist. I may also have mentioned earlier the novel Us by David Nicholls, about a couple ready to take their son on a “Grand Tour” of Europe upon his graduation. Not only is he reluctant to go (preferring a beach trip with his friends), but the protagonist’s wife catches him off guard, telling him shortly before their departure that she doesn’t know that their marriage is working. The story, which bounces through Europe--all the important stops in Italy, is in turns hilarious and heart-breaking. Though it isn’t necessarily set in the part of Italy where you are traveling, Amber, Gabrielle Hamilton’s memoir Blood, Bones, and Butter is a great read. It’s really the story of how Hamilton, whose mother left her and her siblings with their rather inattentive father, ended up in the restaurant business. Although she has a long-running lesbian relationship, she ends up marrying an Italian man, who takes her each summer to his family’s summer home in Southern Italy. Though Hamilton doesn't speak Italian, she and her mother-in-law communicate best in the kitchen. She eventually opened the restaurant Prune in NYC. When we read this one in book club, we all said we didn't want it to end. We decided if we couldn't make it to the Italian coast, we might make it to NYC to visit Prune. I confess that I haven’t read Under the Tuscan Sun by Frances Mayes, though I found the movie just beautiful. After reading her latest memoir Under Magnolia, thought, I may have to go back and read the book. I loved her writing. I wanted to underline things in pencil or to read passage aloud to someone. I realize too that James Michener’s The Source is one of his I missed. (I went through a stage when I read everything of his, starting with Centennial and Chesapeake. The historical research he put into his novels made learning about history and geography absolutely fun. He also had a knack for developing characters about whom I cared deeply. I know The Source goes back to the Holy Lands, but he may also move through these areas related to biblical history too. At the site below, I found several suggestions of books set in Italy, but none I had read. The John Berendt book, though, was intriguing. Evidently, he uses the novel approach to nonfiction he used in Midnight in the Garden of Good and Evil. Did your read Stacy Schiff's Cleopatra? With that book, you get Egypt too, of course! And did you know Tennessee Williams’ second novel The Roman Spring of Mrs. Stone is set in Rome after WWII? I'm hoping someone else out there has some other good suggestions to pass along Bon voyage! When I visit a place I like to know as much as I can about where I'm going, but I find that I can also immerse myself in the spirit of a place through its fiction as well as any history books. My visit to Haiti last year opened my eyes to a part of the world I met first through Tracy Kidder's Mountains Beyond Mountains about Dr. Paul Farmer's activities in the country. At the time, we were using the novel in our classes at the community college--just the semester before the devastating earthquake. Because of the common reading experience, students had more than a superficial concern for the victims of this natural disaster. My preparation for my own trip to the Port-au-Prince area focused more on learning all I could about teaching methods for lower grades. Usually, I read a book set in an area when I travel, but during this trip, our team spent our days working in schools with teachers and our evenings preparing for the next day. Only after my return to the States did I begin to dig into stories of Haiti. My first goal was to find reading material for the Haitian students. While Creole is the native tongue, French is the language of power, so students are immediately plunged into reading and writing French even before five years old. Finding children's books was a challenge. Books in French has more of a Parisian context. The Eiffel Tower had little significance in Gaunthier and Santos. I researched and found that author Edwidge Danticat is from Haiti and her works are set there as well, so I started by trying to contact her. When she responded, she not only gave me information about sources of books in Creole but also offered to send copies of children's books her husband had written. In the meantime, I had gathered a number of books by Danticat, along with informational publications about Haitia and the Creole language. 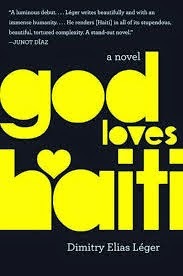 Before I started reading them, though--since my reading habits follow whim more than purpose--I picked up God Loves Haiti, Dimitry Elias Ledger's powerful debut novel. If you want straight history, just the facts, Ledger's book is not the place to start. While the events of the earthquake are accurate--even the duration of what the citizens call "goudou goudou"--the characters are not. The narrative moves back and forth between Natasha Robert, the young artist, wife of the president, her former lover Alain Destiné,, whom she left to marry the Haitian president, and the president himself. These are not, however, actual historical figures. At the time of Ledger's story, just as the earth begins to shake, the president is about to board a plane for Italy with his wife, leaving Haiti behind. Alain has been left behind in the presidential palace, escaping only to have his car thrown skyward. While the details aren't factual, the flavor of the island, especially as the survivors work to regain their lives, gives a real sense of Port-au-Prince. Ledger's writing moves from realistic to occasional magical realism, such as when the president finds himself in line at the final judgment behind his presidential predecessors, a scene that brings to mind Macbeth's scene of the parade of Banquo and his heirs shown him by the Weird Sisters. The complicated interplay between Christianity, particularly Catholicism, and the remnants of traditional voodoo surface in both stories, plumbing the age-old questions about God's role in time of tragedies. The questions are not easily answered. Edwidge Danticat's first novel Breath, Eyes, Memory was published in 1994, when she was twenty-five. Begun, according to interviews, as an essay about her own childhood, the book becomes a novel told from the perspective of Sophie Caco, a Haitian girl raised by her aunt, while her mother lives in the United States. Only after she is summoned to reunite with her mother does she learn of her own beginnings--when her mother was raped at fourteen by a man whose face she never saw. The story moves back and forth between her new life in New York City, where she marries an older man without her mother's blessing to the smaller villages of Haiti, first the home of the aunt who raised her and then the mountain village where her grandmother lives where Sophie flees after giving birth to her first child, an experience that forces her to face her own past. Breath, Eyes, Memory is as much about making peace with oneself as with one's past, especially with mothers, well-meaning, who inflict on their own daughters traditions for which they too had been victims. Running in the background, though, is the complicated political situation in Haiti. Sophie witnesses the death at the hand of self-styled soldiers and is encouraged to keep moving and look away. Both these novels paint a picture of an island country suffering for years and years because of outsider action, already in poverty before the earthquake, but each story keeps the focus on individual human beings and their relationships when placed in situations beyond their control, choosing to survive with the resources at hand. In that book, John Ames, a congregationalist minister in Gilead, Iowa, aware of his impending death, is writing a letter to his seven-year-old son, giving the boy not only his own story, but that of his father and grandfather, both also minsters in the same town, though with quite different temperaments and philosophies. The boy is the son of Ames' second wife Lila, a much younger woman from a much different background who appeared in town, meeting and marrying Ames, enjoying security and stability for the first time in her life. Gilead, however, is John's story, not Lila's. Readers learn of the loss in his life--his first wife dying in childbirth and the child shortly after, his close friendship with Boughton, the local Presbyterian minister, and his suspicion of Boughton's son Jack, who returns to Gilead after an estrangement. The charm of the story for me lay in Robinson's sensitive treatment of Ames' faith--simple, trusting, accepting his own inabilities to understand everything. Ames not only preaches a gospel of love and faith, but he seems to demonstrate it in his own life, all the while aware of his own shortcomings. Because I had loved John Ames' character so much in the first book, I was a bit suspicious of Lila in this newest novel. As I read the story of her unusual childhood, possibly but not certainly an orphan, taken by the woman Doll from a home where she was at best neglected, I couldn't any more imagine how she could be a suitable wife for Ames than any of his congregation could have. She seems as surprised by his innocent attraction to her as I was, as John Ames was perhaps. She is as skeptical of religion as he is blindly trusting. She goes into the marriage with no certainly she will stay. Her years of roaming with Doll and for a time with a band of itinerant workers, hardest hit during the Depression, have conditioned her to be wary, to focus first and foremost of survival. Little by little, though, the narrative emerges as almost a parable. Ames at times seems to be a Christ figure--or at least the prophet Hosea, accepting Lila, loving her with all her flaws, offering all he has. Lila gives John Ames every opportunity to reject her. Her confession of a time working in a brothel in St. Louis doesn't shock him or repulse him as she expects it might. As the child she bears him forges the connection between them, she also tentatively tests the faith he offers her, allowing him to baptize her, then trying to wash it off. She gradually accepts the kindnesses of Ames' church members, and eventually extends similar kindness to other lost souls, including a young man who moves into the shack she abandons when marrying Ames, a should more lost than she. Now that I've read Lila's story, though, I want to revisit Gilead, to see John Ames' life story this time through her eyes. If only I had more time to read. I've remarked at times that sometimes I will read an article in the New Yorker about a subject that would not normally interest me simply because the writing is good. After reading a few books and listening to a few audiobooks that were just prosaic, I recognize what I like in a book when I finally find it. 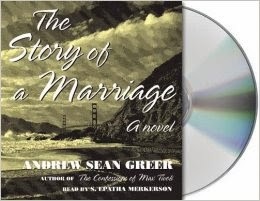 I picked up Andrew Sean Greer's novel The Story of a Marriage when I couldn't find anything else I knew I wanted to read on the audiobook shelf at the library. The cover wasn't even appealing, and I had expectations, never having heard of the book before. What I found was good writing, good story-telling. Told by Pearlie Cook, the story begins in 1953 in San Francisco, where she lives with her husband Holland, their boy Sonny, and Lyle, their bark less dog. Although the narrator tells the reader at the beginning that her husband has died, since most of the story is revealed through flashbacks, it's easy to ignore that significant bit of knowledge and to get lost in the tale. Much of the charm of the story is the way Pearlie reveals just enough, never too much information at a time. As a result, sometimes she surprises. Sometimes, she repeats a powerful passage, familiar enough to work like an echo in the reader's memory. Born in Kentucky, Pearlie fell for Holland twice--first at childhood sweethearts in Kentucky and a second time when fate arranges a chance meeting in San Francisco after the war. The characters--even the minor ones--are beautifully drawn. Most interesting to me was the way the author makes Buzz Groomer, the antagonist, human and sympathetic. Greer also manages to paint a historical background, taking the characters through the Korean War, the Rosenberg trial and execution, desegregation and civil rights, and Vietnam war. These details add richness to the story without ever getting in the way of what is, after all, simply the story of a marriage. I've read reviews filled with spoilers--and yes, even in this subtle story, there are some surprises. Instead, I'd rather let the readers encounter revelations as I did. Most of all, though, I encourage readers to slow down and pay attention to the author's use of language as Pearlie not only learns about her marriage and her husband,but, at last, herself. Have you missed me here? April may not be the "cruellest month" as Eliot suggests, but it can be the busiest. 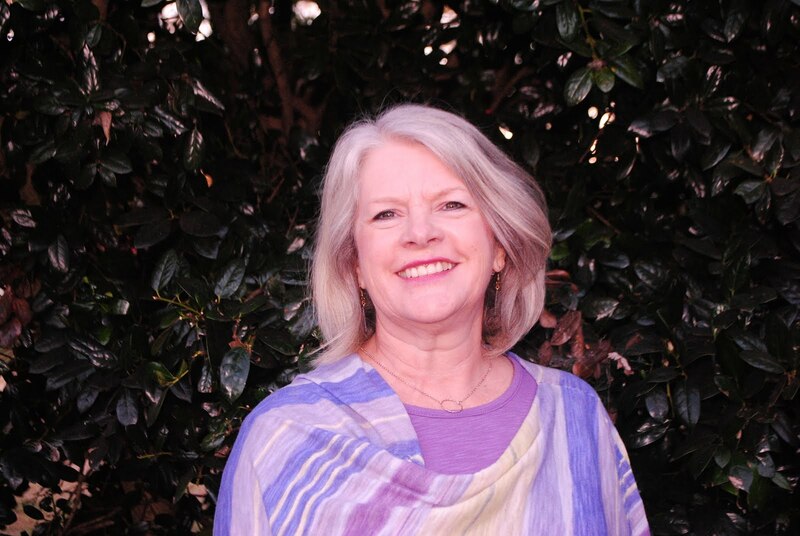 This past month, along with my usual Poem a Day Challenge on Poetic Asides, I have also participated in the A to Z Blogging Challenge on my other site Alabama Tarheel. In my spare time, I've been grading essays--dozens, maybe hundreds, here as the semester winds down. Don't worry, though; I have been reading too. I encountered something new, too. I decided to listen to Stephen L. Carter's The Emperor of Ocean Park, and I found it an intriguing story. Somehow, though, I lost threads of the narrative or couldn't quite figure out a character's significance. Only when I reached the end, when the reader thanked me for listening and gave credits to whoever was responsible for the condensed adaptation. Aha! I had just listened to something less than what the author intended. No wonder I had questions. I had that feeling one gets when trying to keep up with a movie's story line while doing laundry, dishes, answering the phone. I liked the main character, a law professor, married to a woman with sights set on a judge's seat, fathered by a judge, all part of what he calls "The Dark Nation." After his father's death, a variety of individuals insist he knows his father's "arrangements"--obviously not referring to his funeral arrangements. The back story includes the death of a younger sister, the victim of a hit and run driver. His father had been tormented by the culprit's escape, for a time falling under the control of alcohol and anger. Misha, the protagonist, ends up chasing the trail, trying to avoid the "bad guys" and the "good guys--but not the great guys," all of whom want what he can't even find. Meanwhile, he's trying to deal with a rocky marriage (much of which must have been cut) and to be a good father to his young son. I enjoyed the story but not enough to go back for the full dose. I do want a disclaimer next time.